While you and I can agree that we'd love to have a cute little fairy in our office to help keep us going, that's not going to happen. 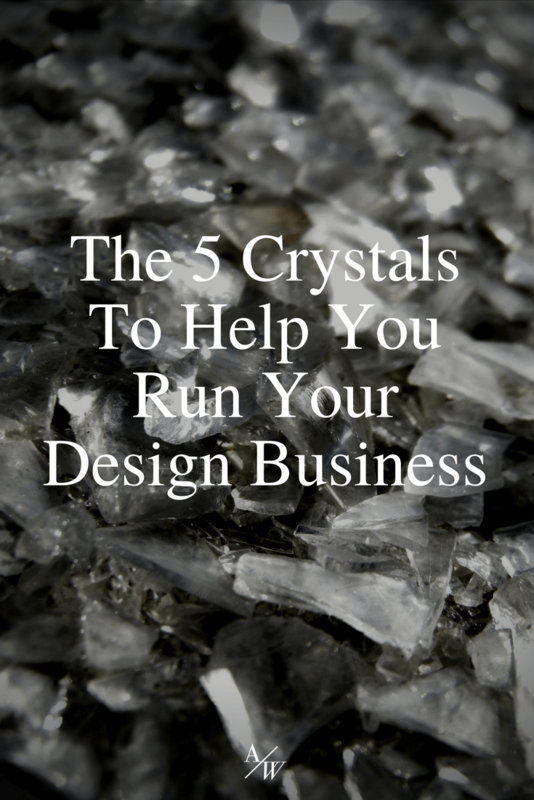 We sure as hell don't want to start taking crack so what's a designer to do to keep our minds focused and give us a boost of creativity? Keep the designer's little helpers on your desk, to get you through the day! Kyanite encourages you to speak your truth. It's like a machete cutting through fear and blockages. It helps you to express yourself freely which is very handy for when you're trying to explain to your client gently why you will not be hanging up the wolf baying at the moon blanket on the wall. When you find yourself stuck, Calcite will help boost your creativity or help you to bust through a creative blockage, too. When you've got some tricky space plan to work out, but you do not see the solution, get out your orange calcite and give it a whirl. Fluorite is one of nature's EMF blockers. WTF is EMF? Waves of energy that are emitted from microwaves, computers, TVs, cell phones, etc. You can feel super drained if you're exposed to too much EMF. 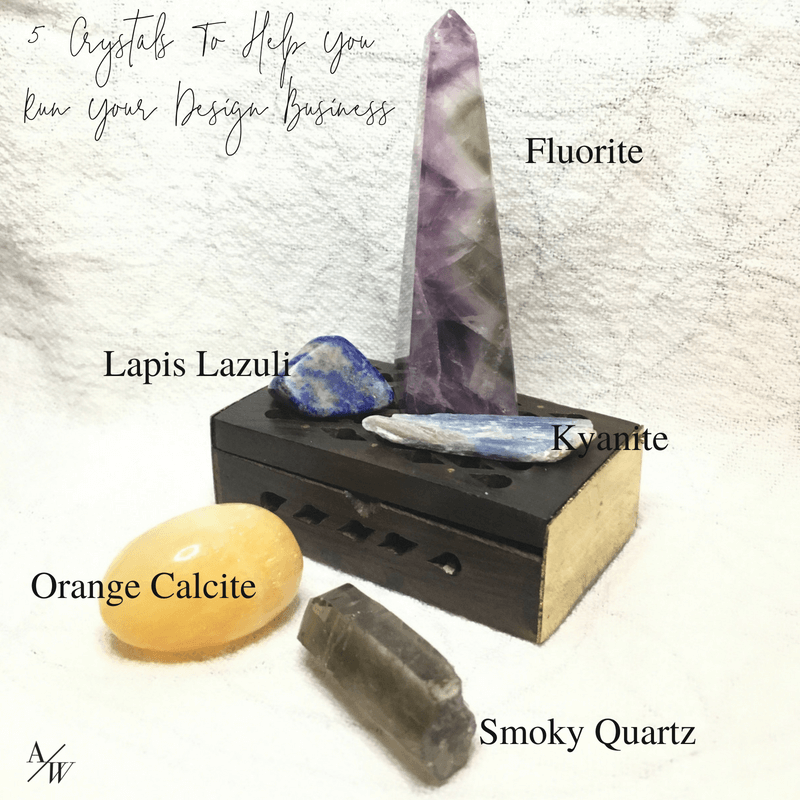 So while you're there posting to your Facebook page or working on that mood board, know that Flourite is there to help you. Smoky Quartz is also another great one to work as a barrier against EMF, but it also will help you to banish negative energy. If you're going through a tough time in your business or you're ready to shake off that bunk day and let your smoky quartz help you. Lapis Lazuli is a beautiful crystal to help you get into with Source energy to break through and get the clarity you're seeking. Ready to take charge of your life and figure out the next step that you need to make. Lapis is your new best friend.